UPDATED: Tue., April 2, 2019, 7:08 p.m.
SEATTLE – Seahawks quarterback Russell Wilson has given the team an April 15 deadline to complete negotiations on a new contract, a source with knowledge of the discussions told the Seattle Times. April 15 is the day the Seahawks will begin their official offseason workout program, and Wilson is thought to want the deal done by then. It’s also thought the sides have had some negotiations in recent days, with Wilson hoping to get the contract done quickly. Wilson has one year remaining on his four-year, $87.6 million contract, but it is typical for teams to sign key players to extensions before they enter the final year of their contracts. Wilson signed his current deal July 31, 2015, the day training camp opened, with the sides agreeing to the contract the night before. That fit the usual Seahawks timeline under general manager John Schneider and coach Pete Carroll of getting significant extensions done in the late spring and summer. It’s unclear what happens if the sides do not agree to a deal by April 15 and if that means there would be no further discussions in 2019 and Wilson would play out the season without a new deal, though that would seem like one reason for setting a deadline. It was widely reported in 2015 that Wilson’s camp wanted a contract done by the time training camp started so that Wilson would not have to deal with negotiations – and questions about his future – during the season. Rodgers leads all NFL players in average salary per year at $33.5 million, while Wilson is now the 12th-highest-paid QB. It’s unclear what Wilson is asking for, but he’s likely to want to at least match Rodgers’ average per year, if not exceed it. One possible complication is that the league’s collective bargaining agreement runs out following the 2020 season, and there has been some talk of eliminating or altering the franchise tag structure. Wilson is coming off one of his best seasons in the NFL, throwing for a career-high 35 touchdowns while tying a career low with seven interceptions. 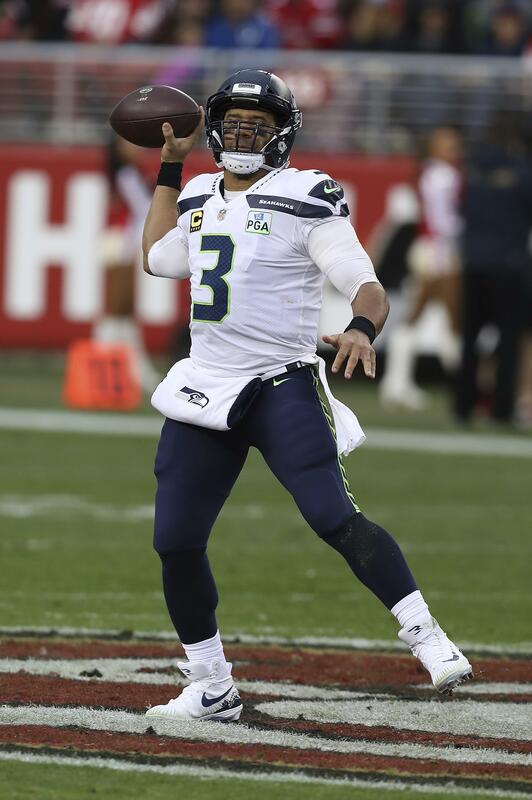 The 2018 season was Wilson’s seventh with the Seahawks, and along the way he set franchise records for career touchdown passes (196) and wins (75). Wilson is the biggest name of several whose contracts could expire following the 2019 season, including middle linebacker Bobby Wagner, defensive end Frank Clark and defensive tackle Jarran Reed. The team recently placed a franchise tag on Clark for the 2019 season, but he has yet to sign it. The team is hoping to also sign Clark to a long-term deal this offseason. Published: April 2, 2019, 5:55 p.m. Updated: April 2, 2019, 7:08 p.m.